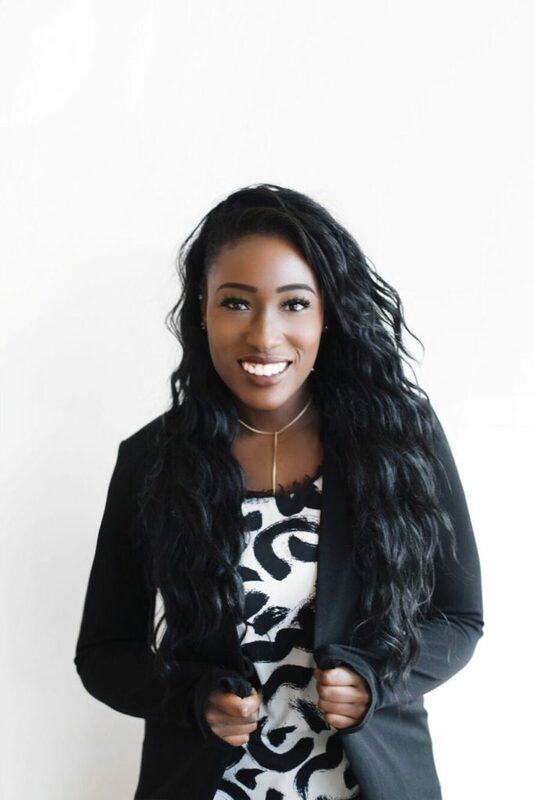 Brittany Sierra, born and raised in Portland, is the founder of Laptops & Smalltalk, a resource for emerging and independent fashion designers and brands dedicated to bridging the gap between business and emerging fashion. 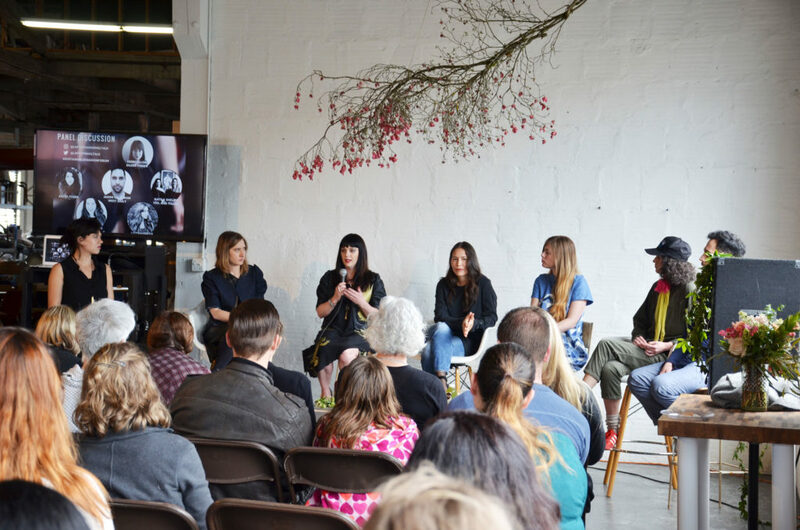 Passionate about Portland, business and fashion, last year Brittany launched the first ever Sustainable Fashion Forum at The Good Mod during Design Week and is getting ready to repeat it’s success again this year! We recently had a chance to learn more about Brittany, Laptops & Smalltalk, her plans for the 2nd Annual Sustainable Fashion Forum and her insight on the local fashion industry. Laptops & Smalltalk was inspired by the designers and fashion creatives I’m so fortunate to be able to work with every day. I always knew I wanted a career in fashion but I didn’t know what that meant or where I fit in. I’m so grateful to have found my place in the industry and to be able to use my passion to help others find theirs. Originally the idea was that Laptops & Smalltalk would be a monthly meetup group where people could bring their laptop and smalltalk about business and fashion (hence the name Laptops & Smalltalk). As I was fleshing out my ideas, however, I decided that I wanted to do something that wasn’t just another meetup but instead was something that could help people every day. Like most entrepreneurial journeys I wasn’t sure where Laptops & Smalltalk would take me but after our launch party made it into the Portland Business Journal I realized that L&S could be a tool and resource to really help build the fashion community. From our online platform to networking events, digital products and eBooks to workshops on brand-building, my goal for Laptops & Smalltalk is to empower the fashion industry and our community by giving creative entrepreneurs the necessary tools to transform their creative passion into a thriving and successful business. By bridging the gap between business and emerging fashion, we strive to be a source of education and inspiration for fashion entrepreneurs both online and offline. I’m very excited about the future of Laptops & Smalltalk and the direction we are going. In the next two years, we will definitely have a studio/office space to house Laptops & Smalltalk. I also anticipate that in the next two years we will have a solid community and industry network in both New York and LA. We’ve already begun building relationships which is so exciting. In 10 years I’d love to see Laptops & Smalltalk have some sort of incubator program or designer scholarship. That would be amazing. In 10 years we’ll also be celebrating the 10th Annual Sustainable Fashion Forum! How did you come up with the Sustainable Fashion Forum event? What was your inspiration? I attended a Modified Style Fashion event a year or so ago that sparked my curiosity about sustainable fashion. During the event, there was a speaker who talked about the effects fashion has on our world both environmentally and socially. Some of the facts she mentioned I had heard before but for some reason when I heard them this time it was like a lightbulb went off. I didn’t know much about ethical or sustainable fashion at the time but I was inspired by curiosity and wanted to learn more. 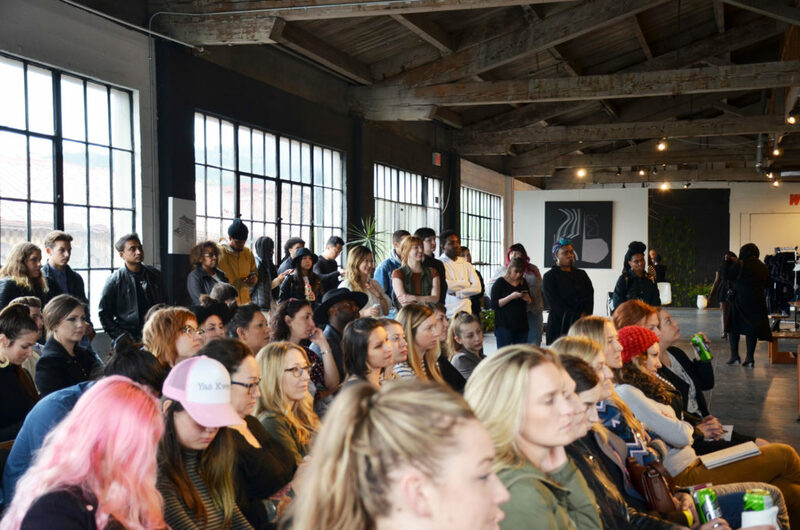 After talking with a few people I decided to host the Sustainable Fashion Forum with the purpose of connecting fashion industry professionals with its community to spark an intimate and informative conversation about ethical and sustainable fashion. The goal was to foster an honest and open dialogue about the social and environmental effects fashion has on our world and what we can do individually and collectively to improve it. What are you most excited about for next year’s event? Many things! I’m excited to have the opportunity to continue the conversation. There’s so much to talk about and we’ve barely scratched the surface. I’m also excited because the forum will now be a two-day event and I just confirmed that a fashion editor from NYC will be flying to Portland to attend/participate! I can’t wait to see how the event continues to evolve as we get closer to Spring. Who would you love to see or collaborate with for the event next year? I’d love to expand our current relationship with Eileen Fisher. Last year Kerri Ulloa, Eileen Fisher’s brand and marketing specialist for Eileen Fisher Renew, attended the forum and moderated the panel. It was such a pleasure to work with Kerri and I’d love to expand our relationship. What Portland A&O companies or jobs do you find inspiring? 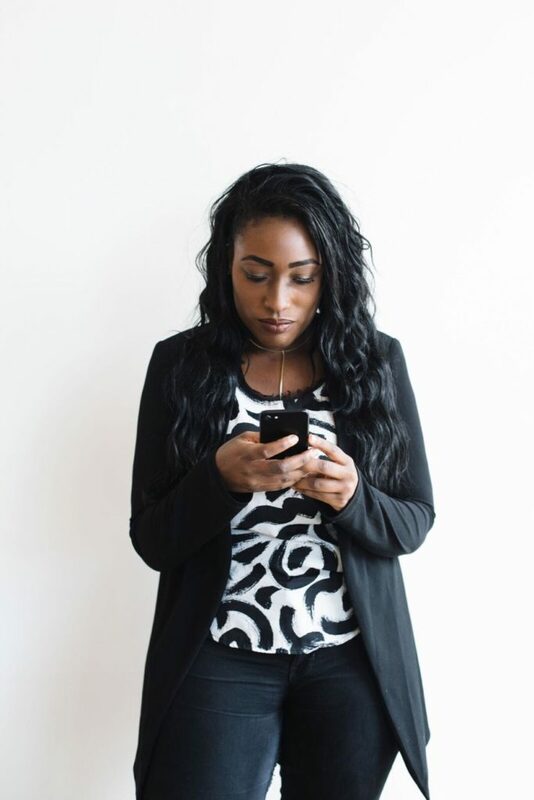 What other female/minority-owned businesses do you find inspiring/interesting? I’m very inspired by Pensole and specifically D’Wayne Edwards. His career as a footwear designer and what he’s been able to build with Pensole is literally amazing. What additional resources or collaborations would you like to see happen within the Portland Fashion Industry? There’s no doubt that additional resources would help our industry grow but I’d like to see more collaborations happen between the resources that are already here. Sometimes it feels like we all kind of do our own thing and work independently but it would be cool to see us come together and work as a team to elevate Portland’s fashion industry. What advice would you give someone hoping to start their own company? Number one: Don’t start a business because it’s ‘trendy’ to be an entrepreneur or because you saw someone you admire start a business and it looks ‘easy.’ Anyone can start a business, yes, but in order to sustain that business and have longevity, you have to be truly passionate about what you’re doing. In the year and a half since launching Laptops & Smalltalk, I’ve seen a handful of people start and close businesses all within a few months. Starting a company is much more than just posting on Instagram, using the #girlboss hashtag and hosting events. There’s a lot of sacrifices that comes with being an entrepreneur and starting a company, especially as a startup. In my experience passion and having a true love for what you do is the only thing that keeps the ball rolling. You have to be so passionate about your business that you’re willing to skip hanging out with friends on a Saturday night because you’re using that money to invest in your company. You have to be so passionate about your business that you’re willing to work for hours and hours, days upon days with no initial monetary return except the vision of what your business will someday be. Two: Create internal systems for your business from the beginning. The more processes, routines, and checklists you set in place for yourself, the easier it is to create a work-flow for your business and a life that works. Creating systems will save you time by giving you a step-by-step guide to follow so you don’t have to reinvent the wheel every single time. It also helps keep you professional and on top of your business game. Systems are also vital when you want to bring on an employee or intern. I learned this the hard way. When you’re first starting you may not know what systems you need but as you continue to move forward you’ll be able to see where having a system for XYZ could come in handy. Three: Be willing to learn things that aren’t in your wheelhouse. Don’t let not knowing how to do something stop you from growing your business. Sometimes you won’t have access to someone who can fix your website or have the funds to pay someone to edit your photos. In these situations figuring out how to edit your Shopify website or how to smooth skin in photoshop is extremely useful. You don’t have to become an expert in these fields but it’s always helpful to have some skills in different areas. The more you can do on your own, the less you have to depend on others to get things done. Where do you go for advice or help? My mom. Whether it’s asking her advice about a potential partnership or asking her to proofread a blog post, my mom is hands down one of the main reasons why both Arreis and Laptops & Smalltalk exist. From a very young age, I watched my mom build her business from the ground up. I watched her maneuver the business world and seemingly make the impossible happen. At the time I didn’t realize what it meant to be an entrepreneur but I definitely do now. No matter how big Laptops & Smalltalk gets I will always consult with my mom along the way.